Two races were sailed in fresh winds around 16kn this morning UTC at the JJ Giltinan Trophy on Sydney Harbour with 'C-Tech' (Alex Vallings NZL) and 'Smeg' (Michael Coxon AUS) finishing first. 'Honda Marine' with David Mcdiarmid NZL, leader after the first two heats, remained on top with the day ranks 2 and 6. Only the ranking list after 2 races was available at press deadline. The updates and the daily news will be posted during the day on the event website. Pollution of the sea and water in general has become a major issue for the international sailing community during the past years. The youth squad of the YC Ascona has presented its role model project to bring about a more concerned attitude towards this major problem of humanity. They decided to abstain from using pet bottles during their sailing activities, a volume estimated at 64kg/year. Here the video presentation of this project and the report (in Italian). For more than 20 years, the Surfraider Foundation has been committed to the seas and beaches of the world. Once a year, members and volunteers organize beach, lake and river cleanings throughout Europe. Several tons of plastic are collected each. Here is the map showing the locations where cleanings will be organized this coming weekend. You are invited to participate in any of the initiatives without any formalities. The project website. The Surfrider Foundation Europe program tackles the marine litter issue through education, citizen science and lobby, and everybody can be part of this initiative. On the coming weekends, Initiatives Oceanes organises beach-cleaning-actions all over the World, except North America, with an emphasis on Europe. Here the map with action points, where everybody is invited to participate. Watch the video. Here the map with action points, where everybody is invited to participate. The only Swiss location mentioned is Versoix/Lake Geneva. Last week, the 'Race for Water Foundation' published its program for the next five years. With their Solar-Catamaran, they will round the globe in five legs to draw the attention on environmental problems in and off the Sea. The first leg will lead from France across the Atlantic Ocean to the Bermudas. Acting as an ambassador boat for the programme, “Race for Water” will serve as an educational platform, travelling laboratory and a working demonstration of Clean-tech innovations. After several unsuccessful attempts to right the trimaran, the capsized 'Race for Water' is being towed to the military base of Diego Garcia, where she and the crew will arrive during the day. They will then try to right the trimaran again within the military harbor to continue the project. The MOD70-trimaran 'Race for Water' has been underway for 80 days now in her scientific odysee around the Globe. This expedition is dedicated to water preservation, as this vital resource is in serious danger today. 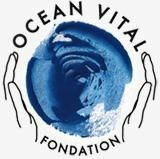 To learn, share and act on our Water Footprint and Marine Plastic Pollution are the main issues the Foundation focuses on. During their last stopover on the sparcely populated small Easter Islands inmidst the Pacific Ocean, faraway from civilisation, they discovered massively plastic-polluted beaches. Even the inhabitants of the island, mainly nurished with seafood, have now spurs of plastic in their blood. On the R4W-website, Steve Ravussin SUI and his team inform on the scientific research they did on the Easter Island, including pictures and video. Two days ago, the trimaran departed direction Hawaii. On the way, the huge garbage patch on the Pacific will be crossed, grown to one of the largest 'island' in the Pacific ! During their trip, the website and the available newsletter will inform daily on the situation. It took two months of reflexions (?) for the International Sailing Federation ISAF after the news that the Rio Administration stopped the water cleaning activities due to financial problems to come up with a statement. Unless there are immediate and efficient actions to solve the water quality problem sufficiently, ISAF will relocate the race area on the open sea outside the Guanabara Bay. However, the boats would have to cross the poisoned bay every day and the water quality on the open sea is not beyond concerns either. To be noted, that every year, swimming is prohibited for several months at Copacabana Beach because of the dangerous water quality. Wind and waves on the open sea would be more challenging, especially for the 49er skiffs and the Nacra-17. For months, Lars Grael BRA double Olympic medalist, has been proposing that Olympic sailing would be moved to Buzios, the dream venue of Brazil 150 km North of Rio, away from any city. The Race for Water Odyssey (R4WO) reached New York City on Thursday, concluding its Atlantic crossing in a journey that will take its six-man crew over 40,000 nautical miles as they attempt to draw up the first global assessment of plastic pollution in the oceans. The 'Race for Water' MOD70 trimaran with Steve Ravussin SUI as skipper has been underway for two months now on her journey around the globe. While being in New York, representatives of the R4WO foundation will participate in UN Sessions and Meetings to discuss the huge problem of plastic waste pollution. The UN Session can be followed live on the Internet at 19 hrs UTC. The report and the video of the arrival in New York. Last weekend, a protest action of Greenpeace against deep-sea oil drillings off the Canary Islands got out of control with violent attacks of the Spanish Coast Guard, ramming the ribs of the environental activists several times. Two severely injured had to be rescued by helicopter and hospitalised. Legal steps have been initiated. Several environmental organisations concerned about the pollution of the seas organise the world-wide beach cleaning initiative during the coming weekend, the 18th annual operation. 766 projects, most of them in Europe, are on the program, and everybody interested in can participate. In addition to the (beaches / coastlines/ seabed) clean-up operation of - mostly plastic - garbage, educational tools provided by Surfrider that will inform participants about the problems of macro waste and will encourage participants to adopt more ecologically responsible behavior. The organisation website. The bad news are, that the EU Environmental Commision has rejected an initiative to limit the use of plastic bags. 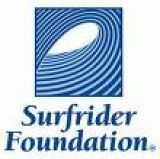 Read also the Surfraider Foundation website for details.